Perpetual Motion Machine Publishing, 9781943720187, 322pp. 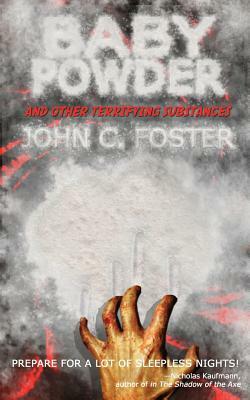 From the author of Dead Men and Mister White, John C. Foster continues his odyssey through the horror genre with his debut story collection. Within these pages, you will board a train to Detroit on a route littered with the darkest monstrosities the mind can imagine ("Highballing Through Gehenna"); a man avenges his father's murder in a series of violent mobster slayings ("Burial Suit"); a mute ventriloquist and his chattery dummy seek a therapist ("Talk to Leo"); future soldiers summon forth an ancient evil to battle an alien menace ("The Willing"); body smugglers crash land on a world where sinister trees feed on flesh ("Meat"); an interrogation takes a strange, psychedelic turn ("Girl Six"); a special agent investigates a potential alien invasion ("Red"); the undead infiltrate the Whiskey-A-Go-Go ("Dead on the Sunset Strip"); a man is hired by a nefarious agency to witness prison executions around the country ("A Lamb to Slaughter"); and a pair of paranormal scam artists suffer when they confront true evil ("Baby Powder").